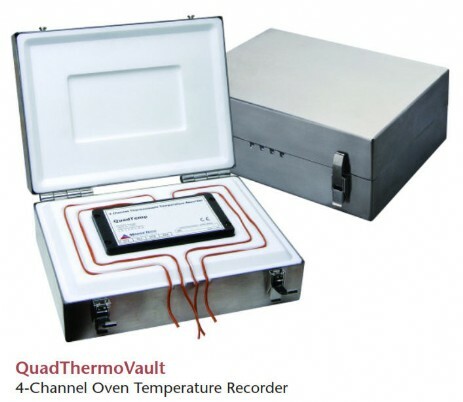 The QuadThermoVault is a four channel thermally insulated, battery powered, oven temperature data logger able to withstand extreme temperatures. It can withstand oven temperatures of up to 350 °C (662 °F) for up to 25 minutes when properly sealed. Its stainless steel enclosure and thermal properties lend itself to be the ideal temperature data recorder for applications such as powder coating cure ovens, wet coating cure ovens, batch ovens and conveyor ovens. 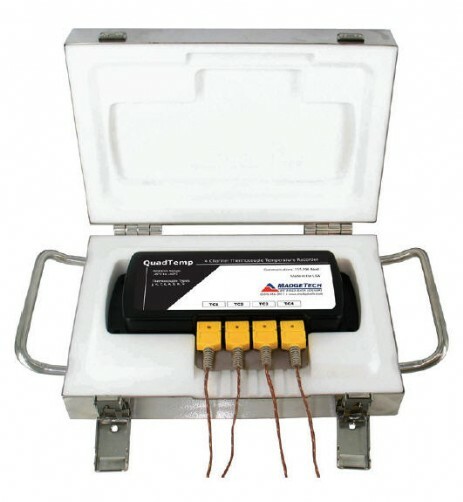 The external thermocouple probes provide accurate temperature measurements with fast response times. 24 AWG Glass Braided Thermocouple, available type K Thermocouple, 72 in. 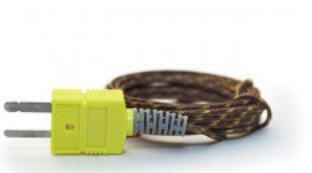 Sold only in quantities of 5.
available type K Thermocouple, 72 in. Sold only in quantities of 5.